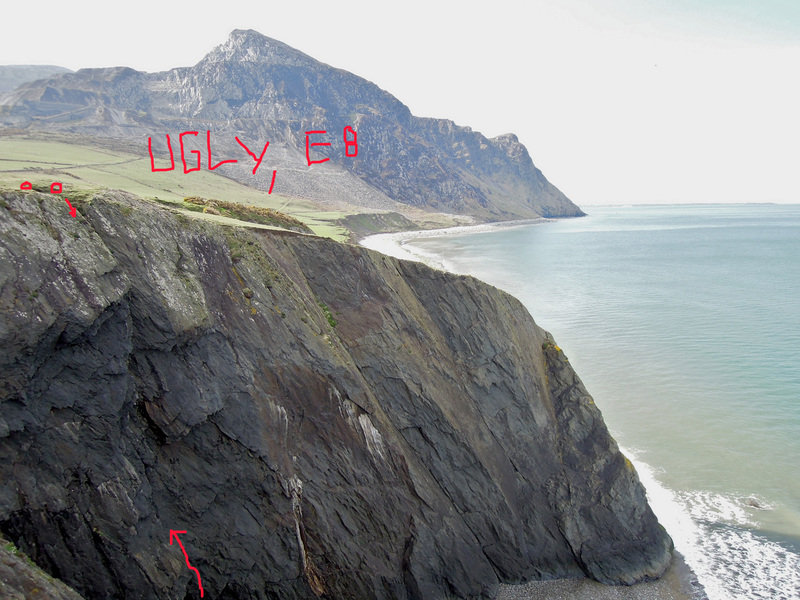 Ugly is a very special route on the LLeyn Peninsula. If the rock was normal it would be a very nice groove pitch next to the sea. But the rock isn’t normal. This Shale-rock is build up of little layers, which don’t seam very well connected. So you can’t crimp anything because it will brake off. 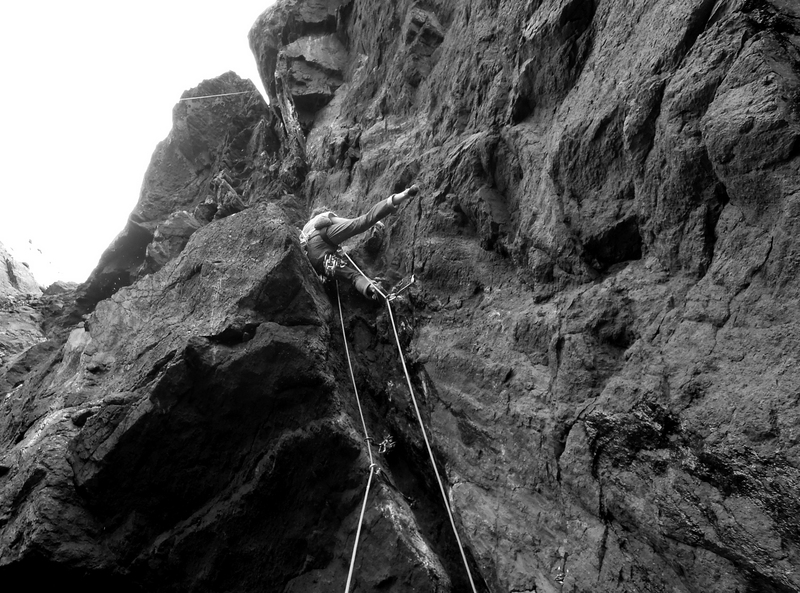 The style of climbing is more like squeezin into the groove crack and pressing with your palms against the wall, rather than actual pulling on holds. As Mr. Dawes, a specialist of this style (and who also tried the route), told me: „It’s farmer climbing. In the evening your forearms aren’t tired but instead all the rest of your body is.“ You just have to scrabbling up a centimeter for centimeter. A little rest after the first crux…. 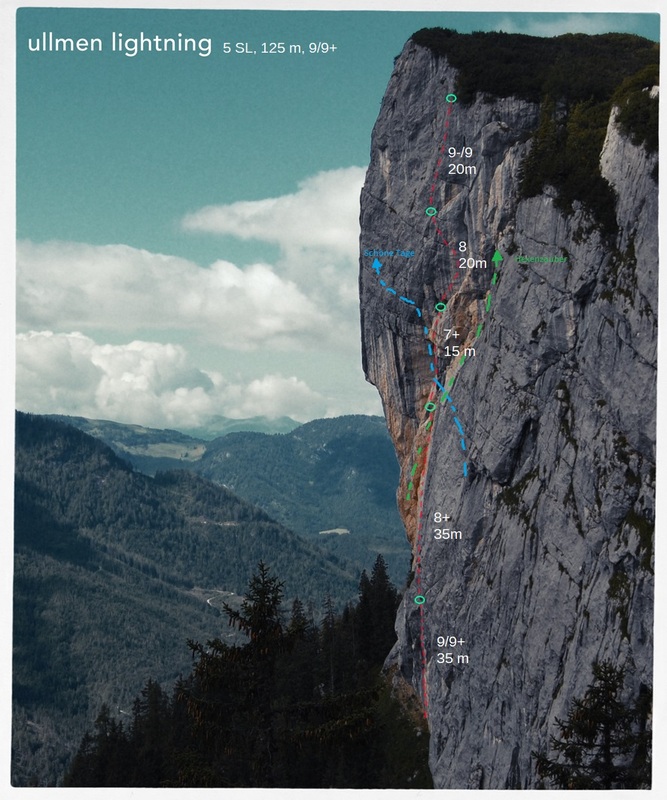 After a couple of tries I could finally climb the route on 21st april of 2014. 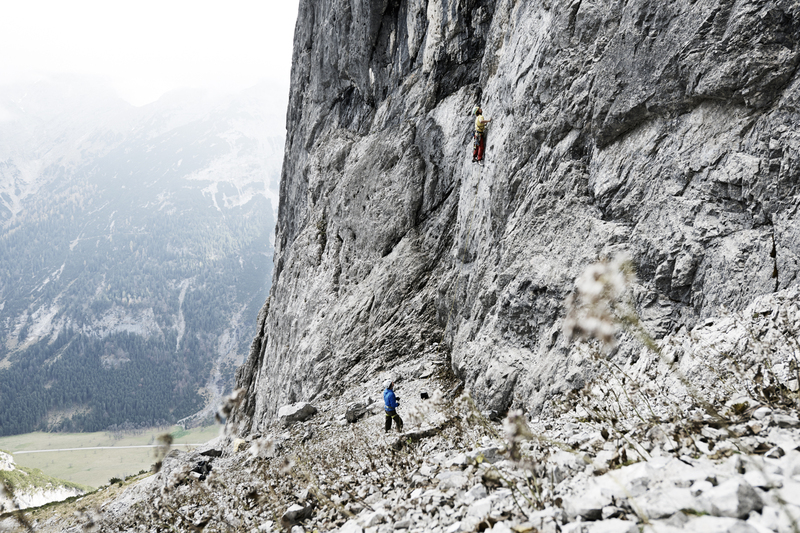 It was the 3rd ascent after Sam Whittaker and George Smith who climbed the route first. 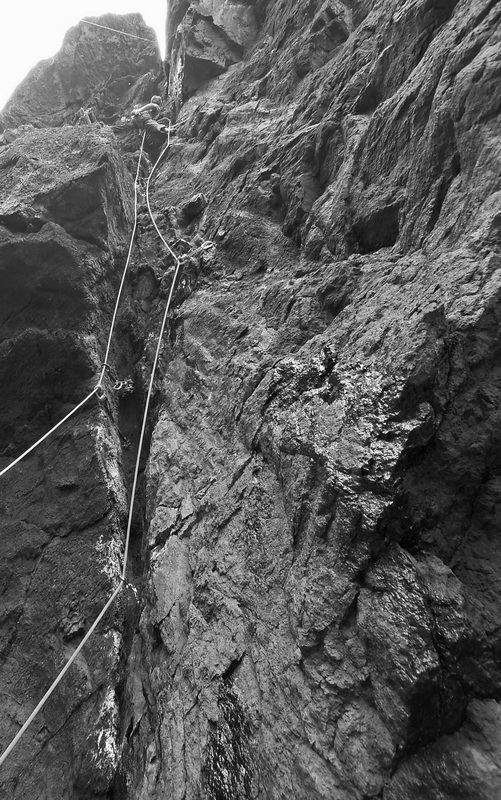 It is a very funny, adventures route which is quite strange to climb. 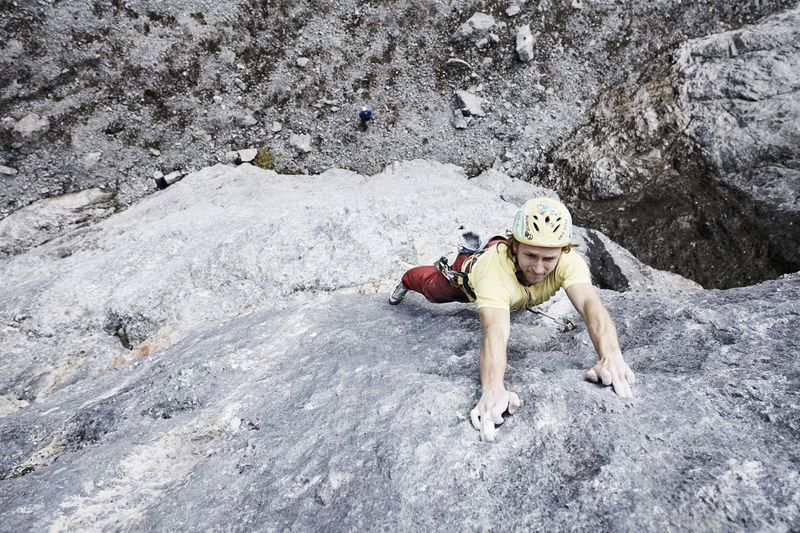 BUT the route contains a rich variety of climbing styles: Jamming, sqeezing, bridging and a lot more. So be psyched and go there! And the best thing: you don’t have to be afraid not to get pumped. You will! 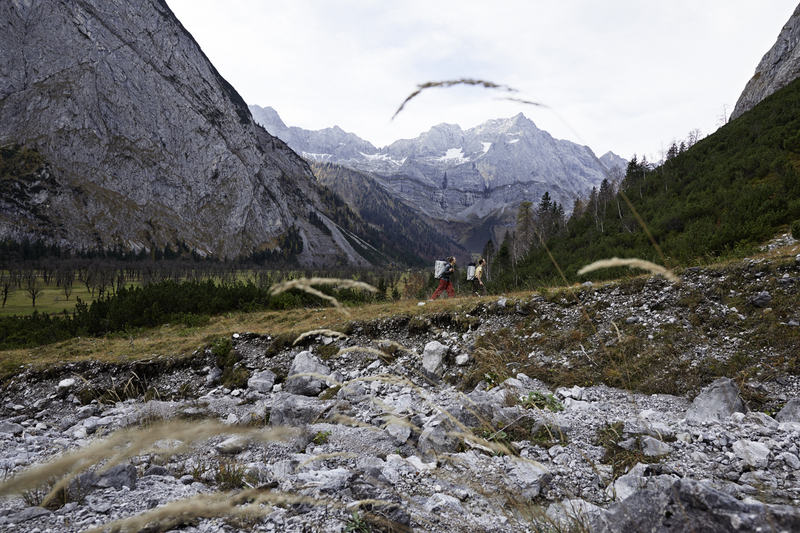 Sebastian and me found a new nice line in Karwendel. The rainy summer 2014 don‘ allow to climb the hole thing. Waiting for good times…. So the movie gives an impression of opening the line and placing the bolts….